On many occasions, I have seen/read about App Smashing being leveraged in a way that is entirely anti-inquiry. In instances such as these, an overly contrived and smooth, risk free process is followed, all for the sake of a “cool” product. Using iMovie, shoot a scene of two actors portraying characters from a novel. Use the speed editor in iMovie to speed the video up slightly. Save the video to your Camera Roll. Open 8mm, pull the previous video from the Camera Roll, and use the “1920s filter” on the video and resave to the Camera Roll. Open Tellagami and use a solid green image as your background. Have the avatar in Tellagami explain what is going on in the silent movie scene. Finally, use DoInk Green Screen to combine the video created with iMovie & 8mm with the Tellagami commentary. Save the finished product to the Camera Roll. For short-term activities, I have never had an issue with “recipes,” as along as a bit of student freedom is included. But, when it comes to longer projects (or project-based learning experiences), inquiry-based learning and the process (not the product) must be prioritized. After all, if a large amount of class time is dedicated to a project, why would I want all of them to turn out (1) the same, and/or (2) exactly as I had planned? Doesn’t this defeat the purpose of student-centered learning? So, how do we avoid this predicament? When planning, do so with the end in mind. But make sure “the end” refers to enduring understandings. Not a product. Not an app. And not an overly contrived workflow. Have students use a rubric, which ideally should be created by them. This way, they are free to demonstrate their understandings however they choose as long as they follow the rubric, which should align to standards (not a product). Ideally, students should view each rubric as a starting point and not a “ceiling” for what can be accomplished. Provide students with the freedom to download their own apps to assist in fulfilling project requirements (if possible, given your “technology situation”). Student “app awareness” is one of the primary benefits of them using the same devices, such as iPads, both in and out of school. Challenge your students to use a minimum amount of apps (in a worthwhile manner) when creating their final product. Although this approach shifts the focus on to the technology, students would be forced to stretch themselves by having to improve upon their work. Also, they might discover new tools they can use at later points in time. In the end, there is obviously nothing wrong with App Smashing. But what matters most is that opportunities for student problem solving and creativity are prioritized. 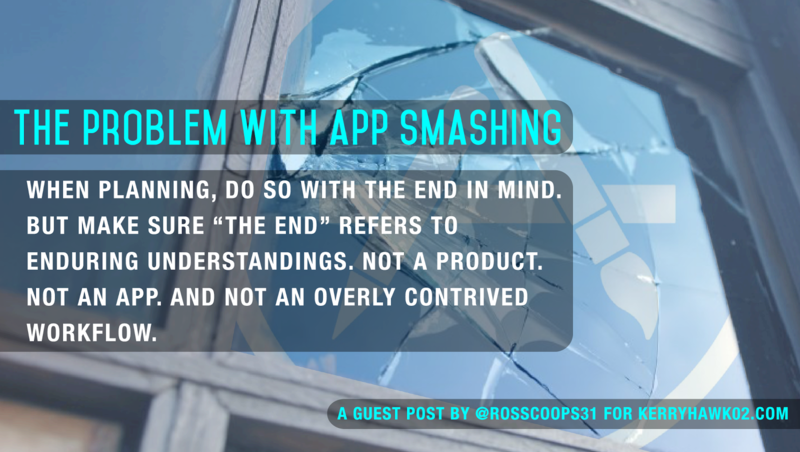 While “app crazy” teachers may find the need to continuously “push themselves” by developing new App Smashing techniques…most students simply just don’t care. Per Michael Fullan, “Pedagogy is the driver, technology is the accelerator.” Or, as can be the case with App Smashing, technology is the roadblock. 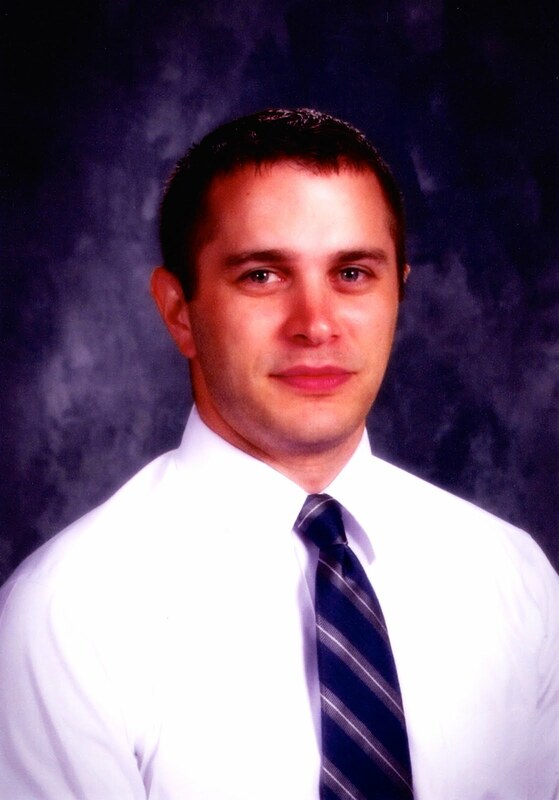 Ross is the Supervisor of Instructional Practice K-12 in the Salisbury Township School District (1:1 MacBook/iPad) in Allentown, Pennsylvania. He is an Apple Distinguished Educator and a Google Certified Teacher. His passions are: curriculum and unit design, inquiry-based learning, assessment and grading, and quality professional development. He blogs about these topics at rosscoops31.com. Also, he regularly engages in speaking, consulting, and presenting. He has conducted keynotes, speaking engagements, and workshops ranging from 15 minutes to all-day. A list of what he has previously offered, and testimonials, can be found on his blog. Connect with him on Twitter at @RossCoops31.